Is your IT procurement process clearly defined in your organization? Many companies depend on technology resources to operate, but make mistakes when purchasing technology and infrastructure. In some cases mistakes happen due to bad managerial attitudes towards budgeting. In others, mistakes occur due to lack of a sensible structure in how purchases are budgeted and authorized. So-called maverick spend and dark procurement is just one problem that arises from an IT procurement process deficiency. Organizational IT is unique in that it simultaneously performs a maintenance function and business improvement function. Whether it’s one or the other, it boils down to how well company stakeholders address technology purchasing decisions. A company can control spend simply by buying better. According to Bain research, techniques like the ones outlined below can produce 60 percent total savings on company purchases. Buying better is critical, but spending better can double a company’s procurement gains or more. Bain research shows that techniques for spending better—which focus on what companies are buying, not just what they pay for it—can produce 60% of total savings. Companies that do both—buy better and spend better—canvass the entire landscape of opportunities. Technology spending: overhead or business driver? Shortsighted managers think of technology purchases, and IT in general, as pure overhead. A black hole where money goes in never to be seen again. Management might starve the department into a cycle of break-fix maintenance instead of what it should be—a force that drives business forward by making work more efficient and productive. Why might management develop a bad attitude towards IT procurement? Disconnects. Several of them. A disconnect in planning and budgeting that forces ‘cheap and quick’ decision-making. How can a technology vendor help? Vendors must accommodate the unique way organizations purchase and pay for technology. Those selling online to businesses should offer features that help organizations manage spending and get the most out of their technology budget. Net terms agreements, customizable invoicing for accounting purposes. Offline sales support should be readily available. Features like these are why NeweggBusiness fits procurement needs for government, education, and companies that manage expenses with attention to detail. If you’re purchasing technology for work on Newegg.com, read this real-talk explainer to learn how we can improve your processes: Newegg vs. NeweggBusiness: What’s the difference? Next we’ll discuss how to understand a procurement plan as it relates to IT proposals. If a company wants to let technology drive business forward, management has to understand technology as a value-add for the way a business runs. For this to happen, whomever is in charge of technology has to speak the same language as the company leadership in charge of spending so that their needs are on their radar. When a company launches, one of the first things it puts in place is a procurement plan. This is a roadmap that outlines how purchasing decisions flow in a company. Having a documented procurement plan puts everyone on the same page and speaking a common language. This is the language IT managers need to know and understand. Process overview – Briefly states how purchase requests will be handled within the company, department, or project. Describes expectations about what a request looks like, and how it moves through the organizational chart. Roles and responsibilities – Identifies requestors and approvers, and spells out the nuances of authority and budget as it pertains to the organization. Identified items to source – A list of items that a company needs to operate, and a sentence or two justifying each item. Timelines for purchase – Describes when the organization needs the requested items, and the appropriate time to start the procurement process. Change approval process – Outlines a process for approving amendments to the procurement plan. Processes for vendors – Document what you need from vendors when you do business. Invoice processing, accommodating the bidding process, RFI, RFP, RFQ, or GSA support. Make clear that the business makes purchases from vendors that support how it manages spending. In smaller companies, all spending must be approved by ownership or the CEO. In larger companies, departments are given a budget and managers have discretion over how it is used; the CFO or accounting team usually has authority over how much goes into each budget. In government perhaps this is the comptroller; in higher education this might be a chancellor or vice chancellor. The common thread across the board is that a technical person must make a clear case for his or her budget needs to someone that is not necessarily as tech-savvy. Making a case for IT spending starts by fitting technology needs into the company’s overall procurement plan, and communicating that to the forces managing the budget. Putting a technology project proposal in correct organizational context fosters understanding of the role technology plays from the top down. We’re down again! We spend all this money on IT and this is what we get? Everything is working? I guess we can trim the IT budget. Everyone in the field has dealt with this thinking. This is common where business managers see technology as overhead instead of a revenue driver. Therefore it is of the utmost importance that IT managers make clear to decision makers that technology investments make business sense. These are generic examples meant to provide a starting point to start thinking of real, tangible ways that business technology can justify the cost of implementation. Next we’ll look at a template of a good proposal. IT managers must be prepared to show in writing—or a PowerPoint—exactly how a project or roll-out will enhance customer experience, enable the workforce, add actionable insights, or add value in some way. Take into account the overall procurement plan of the company. This identifies the audience for the proposal draft (the approvers), the timeline for materials procurement, and the vendor requirements. Have these in mind when drafting the proposal or presentation. State the pain point – what does this project intends to fix or improve? Framework – explain how technology addresses pain points. Includes theoretical perspective, but plainly spoken if the audience is not technical. Structure – how and when will this project be carried out. This is usually a step by step walkthrough of all the tasks involved in an installation or rollout. Budget – what are the costs in personnel hours, work stoppages, and new equipment? Clearly show how the budget was calculated. Prioritize the ‘groundhog issues’—the ones that pop up over and over again. Look for any issues that sap workflow and productivity, or negatively affect customer experience negatively. Qualify these in terms of lost hours and lost sales. Management is able to put a dollar amount on it making justification clear-cut. Usually it is not difficult to find operational pain points. Most companies with an IT staff track deploy a ticketing system to validate where technology is causing suffering. Small businesses without a dedicated technical staff can look to MSP invoices for frequent fixes. Remember: Even when groundhogs are obvious, data makes any proposal stronger. A needs assessment survey is standard practice to reveal pain points. Surveys are easy but cold in nature, and you get cold responses in return. If your scheduling allows, a lunch and learn session with staff fosters better discussion and often more accurate input to report back to management. What devices and products do you feel could assist you in carrying out your role? Can you think of a way this process could be made better with different tools? Of course, users are known to ask for products beyond the scope of their duty. Maintain skepticism with user responses, but always be receptive to those conducting day-to-day business for the company. Their input may uncover a way to add value. Next we’ll discuss how to pair equipment to specific business needs. Devising projects that help a business run better, faster, and stronger usually involves lots of research and analysis about products and solutions. Choosing the right equipment for the project is just one part of the overall project scope, but it is a critical decision. Project managers conduct much of their research online, and more often than not, prefer the convenience of online purchasing. According to Forrester, 59% of B2B buyers and sellers prefer not to interact with a sales rep and 74% find buying from a website more convenient. In technical fields, shopping online allows a project manager to compare hardware specifications across brands in a relatively simple and objective manner. Retailers that make the online shopping experience straightforward and informative provide a beneficial resource to learn, search, buy, and manage products for running a business. There are certain areas where buying online does not meet the needs of organizational purchasing. Consumer sites may not meet requirements outlined in the procurement plan. What happens when you purchase outside of the procurement plan? Buying may create accounting irregularities. Quantity limitations may become problematic for business purchasing. No accommodation of bids, tailored invoicing; RFI, RFQ, GSA and other industry requirements. Nobody on the other end of the line to field questions and provide assistance. When making organizational purchases, you want a trusted Account Executive that knows your business ready for a call or e-mail—consumer sites do not provide that. The traditional business-to-business sales model is more attuned for this style of procurement. Offline account executives specialize in handling purchases as per their customers’ organizational vendor processes which helps procurement run smoothly for the accounting team. Depending how departmental spending is managed, making small purchases on consumer sites might fall within the procurement plan, but is tallied differently by accounting. This may throw off budget calculations in upcoming years. Spot purchases are among the most challenging for IT departments. In many cases, these items are purchased to remedy unexpected issues with equipment. Sometimes they occur when you’re forced into scaling up ahead of the end of life for the equipment. In either case, something isn’t going according to plan, or there is no real procurement plan in place. The most egregious IT purchasing occurs when a legacy system stops working. Running equipment until it dies disrupts business—you lose data, staff has to stop working, and you have to scramble for a replacement. This is a nightmare for business operations, and accounting. The smarter decision is to plan on refreshing business class hardware every four to five years. This reduces the likelihood of disaster scenarios that stop production, and it helps with proper budget allocation down the road. A simple Excel file will cure this. A good practice is to list all IT assets by name, function, and date of purchase. Review the inventory file whenever budget proposals are due. Propose addressing the refresh cycle in the procurement plan. Designate certain equipment as ‘eligible for refresh’ after a certain amount time. Documenting refresh strategy holds management accountable for keeping mission-critical systems up to date and running as they should. When you plan to use IT equipment in five year cycles, think about what your technology needs will looks like four or five years ahead of the purchase. Invest in technology that can grow with the organization. Certain items you can add as you grow—endpoints like PCs, laptops, and mobile devices may be purchased as needed. Equipment for the data center and network infrastructure requires thinking ahead four to five years when making the purchase. Management should understand that outgrowing equipment that is less than five year old is wasted capital. Say a small business purchases an inexpensive server system adequate enough for the 10 users currently on the domain. In two years, if the company grows to 25 users, they may have to purchase new equipment to handle those demands. If that happens, the company is stuck retiring a two year old server years ahead of the refresh cycle. Networking equipment should be thought of in the same manner. As a company adds more users, networking gear—routers, switches, access points—needs to supply the bandwidth that those users require. There is no such thing as a cost-effective “scaling as you go” approach with infrastructure hardware. How does a company know how much it will grow? Management should have a rough idea of trajectory, so that is a starting point for planning technology needs four to five years out. Sudden growth spikes do occur. This good for business but tough on IT—especially if infrastructure is underpowered from the get-go. The role of DevOps comes down to understanding what your system needs per unit of use. A unit might be user activity, a thread, or a job in the system, and understanding what your use case requires to expand. From there, model different scenarios of growth. Next, we’ll illustrate the agile approach to managing business technology. For customer-facing server infrastructure, a company might purchase hardware to accommodate an ‘average’ growth trajectory, and rent from a cloud provider temporarily to handle unexpected growth. Apply this philosophy at every level of IT. For backend systems, headcount and application types dictates demand on servers and networking equipment, and storage capacity needs for shared data and backup purposes. Of course, every organization is unique unto itself. The job of the IT manager is to make sure that management understands how equipment meets business goals and needs, and how it delivers quality of service that keeps customers satisfied and the workforce productive. Next we’ll cover how to use financing and tax breaks when purchasing IT equipment. When drawing up a budget for a project proposal, it helps to understand the payment and financing options for IT equipment available for the company. Also know that the IRS tax code fits neatly into a five-year refresh cycle. Being able to convey a few basic accounting principles puts total cost of ownership in a more meaningful way for business managers. When the time comes to invest in technology infrastructure, organizations may find it advantageous to lease equipment instead of buying it with cash, or financing it with a business loan. Leasing options make the most sense for companies just starting out. A start-up company is typically concerned maximizing cash flow and liquid assets. Keeping operational costs low in the short run is a priority. For this scenario, leasing IT equipment fits these requirements. The company has what it needs to get started right away doing business. There might be a small activation fee, but that is a fraction of the standard 20 percent down payment on financed equipment. Typically, leased IT infrastructure carries a three year term. After the term is up, you return the equipment to the leasing company. If you choose to continue the lease, the hardware is updated to the most current generation, and the cycle resets. That’s your refresh cycle. From an accounting perspective, leasing IT equipment passes the cost of obsolescence onto the lessor. The total cost of ownership for leased equipment may be higher than if you were to buy infrastructure with cash or a business loan. Considering the high rate of depreciation for technology equipment, you cannot expect to recoup beyond a small fraction of the initial cost of the hardware purchase if you sell it after a few years. What makes buying equipment attractive is that the procurement process tends to be more flexible and straightforward for the organization. Moreover, Section 179 of the IRS tax code allows depreciation to be written off for computers and peripherals. Lease payments are deductible business expenses as well, and may be written off each year of the lease term. You receive additional tax write-offs if you buy the equipment. Under Section 179, a company may write off the total cost of purchase as a capital expenditure the year of the purchase. Additionally, a company can write off depreciation of business technology infrastructure as it ages. Computer equipment has a five year cycle of depreciation. Disconnects between business managers and employees in charge of technology purchases are mended when both sides plan for growth. Incorporate technology purchases into the overall procurement plan of the company. IT managers should draft proposals with the procurement plan in mind to facilitate understanding for non-technical stakeholders controlling the budgeting. 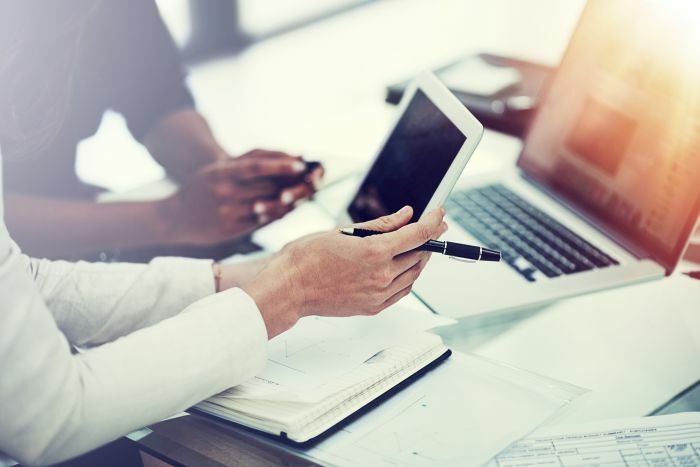 Devise plans to use technology to address ‘groundhog issues’—frequently occurring problems—that plague productivity and undercut customer experience. Look ahead four to five years and plan for growth when considering new technology solutions. Implement a five year refresh cycle, supported by the Section 179 of the IRS tax code, for a more accurate picture of budget expenses and return on investment. Technology vendors should accommodate how your organization conducts its purchasing. From an accounting perspective, using a specialized business account fits technology spending into the overall IT procurement process. Good IT procurement means managing spend by buying better. Learn techniques for avoiding mistakes and saving money on tech purchases.